The tensions between Russia and the USA have reached an unprecedented level. I fully agree with the participants of this CrossTalk show – the situation is even worse and more dangerous than during the Cuban Missile Crisis. 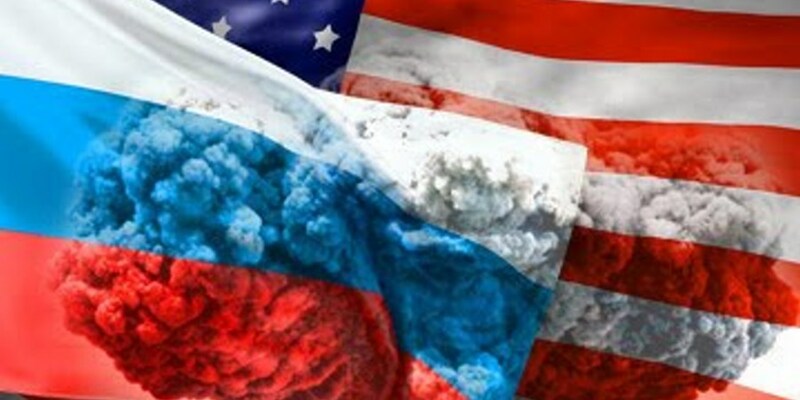 Both sides are now going to the so-called “Plan B”which, simply put, stand for, at best, no negotiations and, at worst, a war between Russia and the USA. The key thing to understand in the Russian stance in this, an other, recent conflicts with the USA is that Russia is still much weaker than the USA and that she therefore does not want war. That does not, however, mean that she is not actively preparing for war. In fact, she very much and actively does. All this means is that should a conflict occur, Russia you try, as best can be, to keep it as limited as possible. During my years as a student of military strategy I have participated in many exercises on escalation and de-escalation and I can attest that while it is very easy to come up with escalatory scenarios, I have yet to see a credible scenario for de-escalation. What is possible, however, is the so-called “horizontal escalation” or “asymmetrical escalation” in which one side choses not to up the ante or directly escalate, but instead choses a different target for retaliation, not necessarily a more valuable one, just a different one on the same level of conceptual importance (in the USA Joshua M. Epsteinand Spencer D. Bakich did most of the groundbreaking work on this topic). Another interesting recent development has been the Fox News report that Russians are deploying S-300V (aka “SA-23 Gladiator anti-missile and anti-aircraft system”) in Syria. Check out this excellent article for a detailed discussion of the capabilities of this missile system. I will summarize it by saying that the S-300V can engage ballistic missiles, cruise missiles, very low RCS (“stealth”) aircraft and AWACS aircraft. This is an Army/Army Corps -level air defense system, well capable of defending most of the Syrian airspace, but also reach well into Turkey, Cyprus, the eastern Mediterranean and Lebanon. The powerful radars of this system could not only detect and engage US aircraft (including “stealth”) at a long distance, but they could also provide a tremendous help for the few Russian air superiority fighters by giving them a clear pictures of the skies and enemy aircraft by using encrypted datalinks. Finally, US air doctrine is extremely dependent on the use of AWACS aircraft to guide and support US fighters. The S-300V will forces US/NATO AWACS to operate at a most uncomfortable distance. Between the longer-range radars of the Russian Sukhois, the radars on the Russian cruisers off the Syrian coast, and the S-300 and S-300V radars on the ground, the Russians will have a much better situational awareness than their US counterparts.